Another big book for another big subject: wine. Because it’s organized alphabetically by topic, you can open it anywhere and begin zigzagging through the world of wine. The antiquity of the world is reflected in the antiquity of the word, which entered English so long ago that it preserves the original pronunciation of Latin vinum, with initial “w”, not “v”. “Vine” is from the same root but comes from Old French. The word has deeper roots in Indo-European – “wiyana and wayana are quoted from the ancient Anatolian languages” – and may have cognates in Hebrew and Arabic. But what is its ultimate origin? “No theory is convincing,” concludes the linguist Dr Leofranc Shelford-Strevens, “except after a few glasses” (entry for “Wine”, pg. 768). That’s a good name for someone writing about wine and that Johnsonian humour enlivens other entries: “wine writing” is a “parasitical activity undertaken by wine writers enabled by vine-growing and wine-making” (pg. 772) and “Siegerrebe” is a “modern German vine crossing grown principally, like certain giant vegetables, by exhibitionists” (pg. 630). Wine apparently encourages high spirits in its writers, not just its drinkers, but there’s also an entry for “bore, wine”. The next entry is for “borers”, about “beetles and their larvae”. Then comes the entry for “boron”, about an essential trace element. So three entries span sociology, entomology and chemistry. Each has a separate author too. 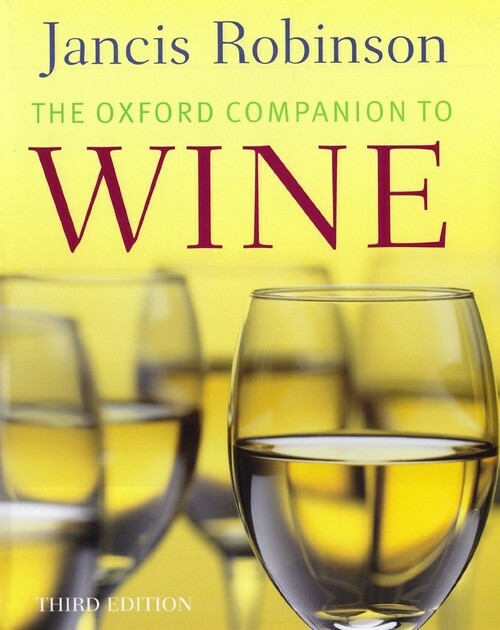 This book had to be a collaboration, because no-one could possibly be an expert on all aspects of oenology, as the study of wine is called (from Greek oinos, whose earlier form is woinos). So different entries have different flavours, like wine itself: simple or complex, sweet or astringent. All wine-making countries and regions have their own entries, from Alsace to Zimbabwe, from Georgia to Japan, and almost every conceivable aspect of wine and viticulture is discussed and described, from the gustatory and linguistic to the botanical and medical, from Dionysus and drunkenness to bottles and the shape of wine-glasses. You’ll learn here how the Greek writer Athenaeus (fol. 200 AD) wrote a book called Deipnosophistae, “The masters of the art of dining”, in which the “two most frequent topics are Homer and wine” (pg. 38). 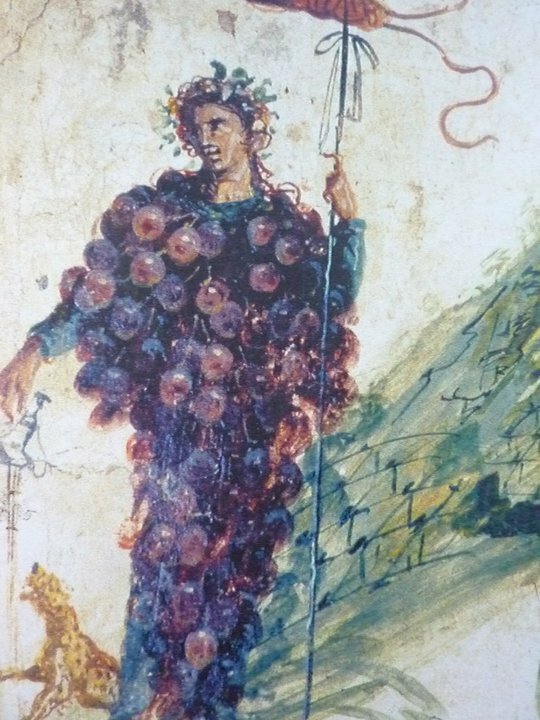 But Athenaeus isn’t systematic about wine: he assembles “curious facts”. This book is systematic, but it has a lot of curious facts too. What are the differences between macro-, meso- and microclimate? They’re explained here. What did the Roman poet Martial think about Egyptian wine? His astringencies are quoted not just in translation, but in Latin too (pg. 429). Which Roman emperor ordered vineyards rooted up and which ordered them re-planted? Domitian (pg. 234) and Probus (pg. 548), respectively. Which wine did Napoleon drink to console his exile on St Helena? Constantia (pg. 193). Which wine is celebrated in the national anthem of its homeland? Tokaji (pg. 699) – the Hungarian anthem praises God for ripening wheat tokaj szőlővesszein, “in the grape fields of Tokaj”. But I couldn’t find anything on wine and the visual arts. It would have been good if they had been discussed and some wine-paintings and wine-sculptures had been included with the other photos. The closest the book comes is a photograph of a barrel cellar owned by the Mastroberadino firm in Campania, Italy, which incidentally shows a beautiful and mysterious painting on the roof. Why are the naked female figures hiding their faces? Who was the artist? You won’t learn that here. You won’t learn how to pronounce unfamiliar names and terms either, because no pronunciation keys are given. So no art, no articulation. Apart from that, this big book is worthy of its big subject. Is wine one of the glories of life? Some don’t think so: they go further, as the entry for “Rome, classical” reveals (pg. 589). 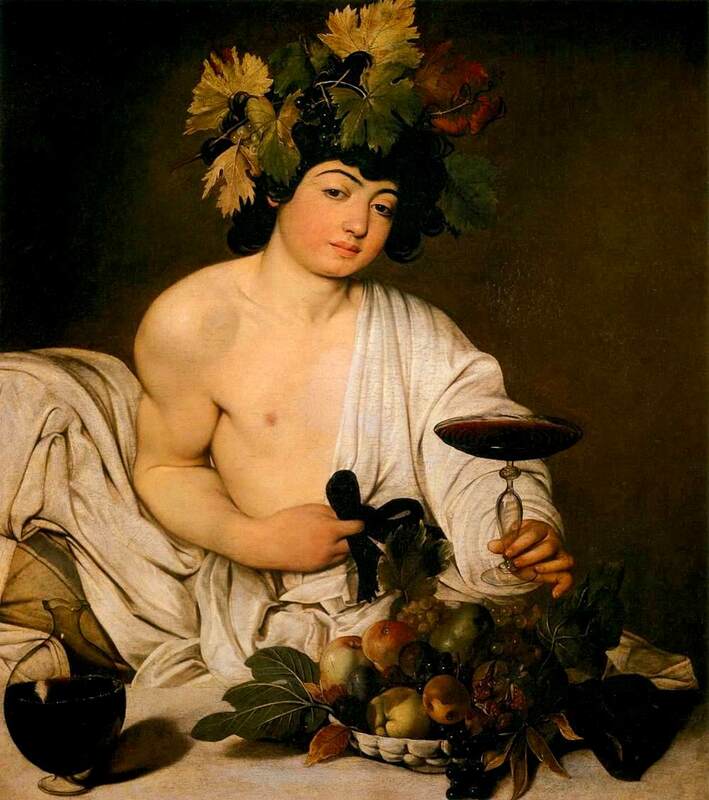 “Vita vinum est!” proclaims Trimalchio in the Satyricon (late 1st century A.D.): “Life is wine!” Petronius may not have lived to drink himself, but he surely made his life better with wine. Two millennia later, you can make your wine better with the words in this book.